While flying is statistically safer than any other mode of transportation, each year people are seriously injured or even killed in airplane crashes. As common carriers, airlines and others who transport people in the course of their businesses owe their passengers a heightened duty of care to keep them safe from injuries. In addition, the Federal Aviation Administration (FAA) issues regulations that cover almost every aspect of the airline industry, from pilot training to aircraft maintenance standards and procedures. Any deviation from these regulations may be sufficient to establish legal liability in the event of a crash. 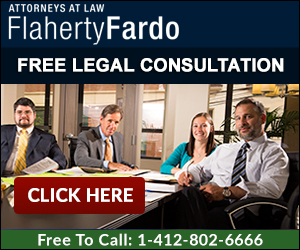 Because airplane crashes have the potential to result in extremely serious injuries or even fatalities, it essential that victims and their families discuss their options with a Pittsburgh lawyer at Flaherty Fardo as soon as possible after plane accident. Error on the part of the FAA employees. Loss of the care, protection, guidance, training, and nurturing of the decedent. Modern airplanes are extremely complex machines, and litigation that arises from an airplane crash often involves legal experts, engineers, pilots, and others with an intimate knowledge of the aviation industry. These cases can be extremely technical and highly specialized. It is extremely important for victims to retain an attorney as soon as possible to help represent airplane accident victims. Airplane crashes can have devastating consequences for victims and their families. To schedule a free consultation with one of our personal injury lawyers, call our office today at (412) 802-6666.